Robuck, Erika. (2014). Fallen Beauty. New American Library; New York. When I saw this book featured prominently at my local library, I became quite excited and slipped it into my book bag. “Ah!” I thought. “Here is a writer on my plane of thought – fascinated with the lives of female authors in the 1920s”. After reading the engaging biographical overview of some of these women in Bobbed Hair and Bathtub Gin by Marion Meade, I was more eager than ever to see these women’s lives unfold before me in the written word. In this regard, Erika does not disappoint. 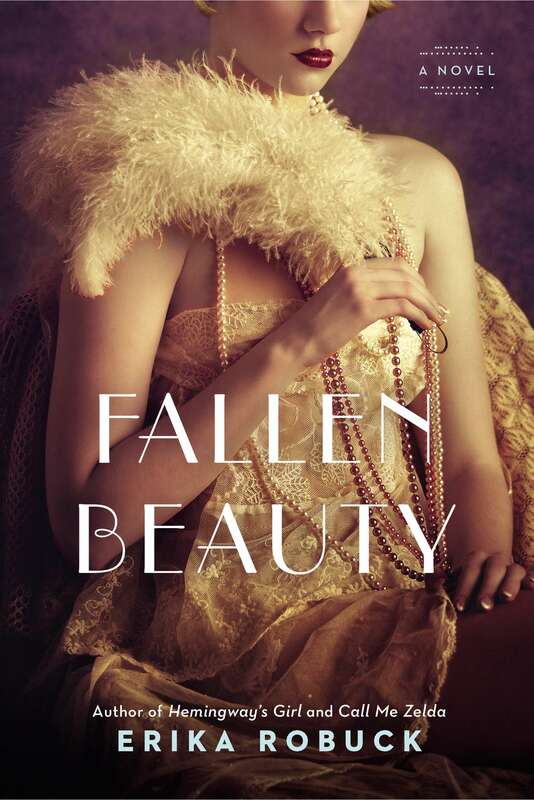 The story of Fallen Beauty switches between the narration of the lascivious bohemian poetess Edna St. Vincent Millay and her counterpart/opposite/muse, Laura Kelley. I knew the story of Edna (known as “Vincent” to her friends) from my reading of Marion Meade’s book, and was prepared for the tales of Edna’s lovers, illnesses, and her subversively supportive husband. I was not prepared for Erika’s excellent personification of Edna’s thought patterns – each chapter from Edna’s perspective is beautifully written and thoughtfully presented. My sympathies, however, tend to lie more with Edna than Laura in the novel. Laura is a purely fictional character inserted into the story line of Edna’s life; she is a seamstress who martyrs herself after she becomes pregnant before marriage in a small town. Justice and retribution are achieved by the end of the novel. Laura is upheld as the female ideal; she is married and monogamously in love; she is pure, true, and close to the divine. Edna is the fallen one. She ends the novel an aging, wasted beauty (as she also ended in real life). However, Edna’s life also involved the exploration of boundaries and testing of many experiences, while Laura remains reticent and self-effacing. Not being a terribly sentimental person, I skipped over the lengthy descriptions of Laura’s child, which were a tad too sappy for my taste. I would recommend this novel to anyone who has an interest in the cultural explosion of the 1920s. It is also an excellent story for examining the contrasts between right and wrong, justice and injustice, and family bonds.